It’s hard to believe that twenty years have passed since BBE released their very first release, Stop and Listen Volume 1 on the 4th of November 1996. It was compiled by Dr. Bob Jones and was a journey through disparate musical genres. Everything from soul, jazz and funk to disco and house featured on a compilation where Curtis Mayfield rubbed shoulders with Sarah Vaughan, Linda Clifford and Barbara Lynn. This compilation was eclectic with a capital E. Stop and Listen Volume 1 was also a compilation that oozed quality, and BBE were a label to watch. That proved to be the case. Over the next few years, further volumes in the Stop and Listen series were released. So were a number of other compilations, including Strange Games and Things and Keb Darge’s Legendary Deep Funk. This was just a tantalising taste of what was to come from BBE. Over the next twenty years, some of BBE’s most successful compilations have been Disco Love, John Morales Presents The M&M Mixes, Private Wax and Keb Darge and Little Edith’s Legendary Wild Rockers. These are just a few of the compilations released by BBE over the past twenty years. However, there’s more to BBE than compilations. Indeed, there’s many strings to the BBE bow. This includes reissuing many long forgotten, lost and hard to find albums. These albums have been discovered in far flung corners of the globe, and have been reissued by BBE. Belatedly, these albums are now finding favour by an appreciative audience of musical connoisseurs. The same can be said of the many albums of new music that BBE have released since 1996. Nowadays, BBE have established a reputation as a label that released albums of innovative and influential new music. This includes albums by both established and up-and-coming artists. These artists come from far and wide. Nowhere is off limits to BBE in their search for new and exciting music. One of the many artists who have realised an album on BBE is Kon. He’s had a long association with BBE. This began in 2007, when Kon and Amir released Off Track Volume One: The Bronx. This was a double album, which featured a truly eclectic selection of music. Each DJ’s selection featured on one of the discs. Kon had edited each of these tracks and then mixed them, which gave the chance to showcase his skills as a DJ. The first volume in Off The Track series was a success, and two further volumes followed. The next, Off Track Volume Two: Queens was released in 2008 and featured a suitably eclectic selection of songs. This was meant to represent the musical melting pot that’s the borough of Queens. It was a convincing musical representation. So was the third and final volume in the series, Off Track Volume III: Brooklyn. It was released in 2010, and since then, there’s been no further instalments in the series. However, this wasn’t the end of Kon’s association with BBE. Three years later, in July 2013, Kon released his debut album On My Way, on BBE Music. It contained original music, which featured Kon and some of his musical friends. This included keyboardist Yuki Kanesaka, plus vocalists Amy Douglas, Ben Westbeech, Induce and George Levin. They all played their part in the sound and success of On My Way. Now three years later, some of Kon’s friends have played a port in his Kon and The Gang project. Kon explains the origins of the project. 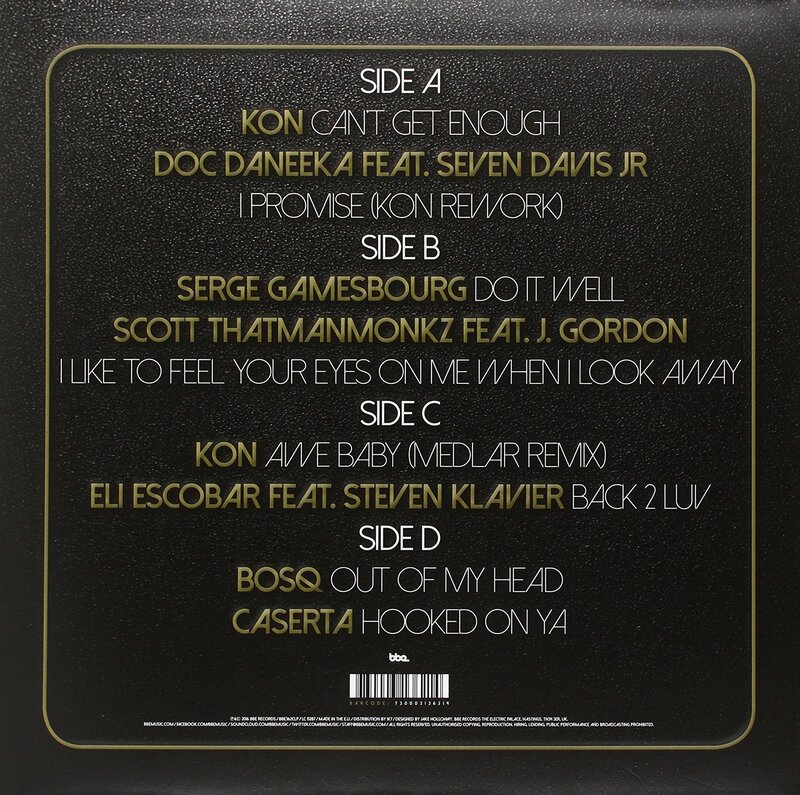 It’s: “a play on words…which became an idea for this compilation” So Kon: “asked a few of my producer and DJ friends to contribute original tracks.” They were happy to contribute tracks which became part of Kon and The Gang. It was recently released by BBE Music on heavyweight vinyl and digital download. Kon and The Gang features eight previously unreleased tracks. This includes two from Kon, plus tracks from Doc Daneeka, Serge Gamesbourg, Scott ThatManMonkz, Eli Escoba, Bosq and Caserta. Each of these tracks are soulful and perfect for the dance-floor. That’s what people have come to expect of Kon, whose love of music began when he was just four. This life-changing event happened when Christian Taylor, the man that would become Kon, first heard Electric Light Orchestra’s 1974 album Eldorado. The drama and theatre of Eldorado, with its cinematic strings, well crafted songs and poppy hooks captured Kon’s attention. He was hooked, his love of music began. Soon, Kon went in search of more music. Helping fuel this interest in music was his father. He was a drummer, and was happy and willing to become Kon’s wingman when he went in search of the perfect break. Soon, Kon was a self-confessed crate-digger. Kon’s raison d’etre was the pursuit of music with the perfect beat or break. He was determined to leave no stone unearthed in his search for vinyl. Kon searched dusty basements, backstreet record shops, flea markets, charity shops and nowadays, online auctions looking for vinyl. They were and still are among his favourite haunts in his pursuit of that elusive slab of vinyl. The one that contains the perfect break and beat. Even better, it might be the perfect song, the one that changes your life and makes you wonder how you lived without it? Especially, if that song was funky. For Kon, when it came to music, it was a case of the funkier the better. This music would influence the Off Track and On Track compilation series Kon and Amir would go on to compile. That was the future. Before that, Kon decided to embark upon a musical career. Starting off as a DJ back in the eighties, Kon started honing his own unique DJ-ing style. The next step for Kon, was making his own edits, which he played during his DJ sets. His edits were his secret weapons, guaranteed to liven up any dance-floor. These edits found their way onto Kon and Amir’s Off The Track compilations. Three volumes were released between 2007 and the 2010 on BBE. The first was Off Track Volume One: The Bronx in 2007. A year later, ff Track Volume Two: Queens was released in 2008 The third and final volume in the series, Off Track Volume III: Brooklyn was released in 2010. Making edits however, was just a step towards the next part of Kon’s career, when he start working as a remixer. Making his own edits was good preparation for when Kon started remixing tracks. It was as if everything had been leading towards this. This had included a lifetime listening to, and understanding music. Then there was all the time Kon spent studying John Morales and Walter Gibbons remixes. Having learnt from two of the top remixers, Kon was well prepared to start his remixing career. His style of remixing involved stripping the track back to just the rhythm section. After allowing them their moment in the spotlight, he started rebuilding the track. Quickly, Kon’s reputation as a remixer grew. However, much as he enjoyed creating edits and remixes, he wanted to create his own music. This was the next chapter in Kon’s career, what everything had been leading to. So in 2013, Kon released his debut album of original music, On My Way on BBE Music. This added a new string to Kon’s musical bow. He was a DJ who made edits, was a remixer and had just released his first artist album. Then there was his work with Nitetime, Star Blazers, Whiskey Baron and the songs he wrote with Dan Nicklin nd Edward Anderson. Kon was one of the hardest working men in music. However, Kon wasn’t one to rest on his laurels. He was about to embark upon new project, with a little help from his friends. Ironically, The Kon and The Gang project came about almost by accident. It was a play on words, that proved the genesis for the album. This set Kon thinking. Soon, he was asking his DJ and producer friends if they had any unreleased tracks that would be willing to contribute to the project? 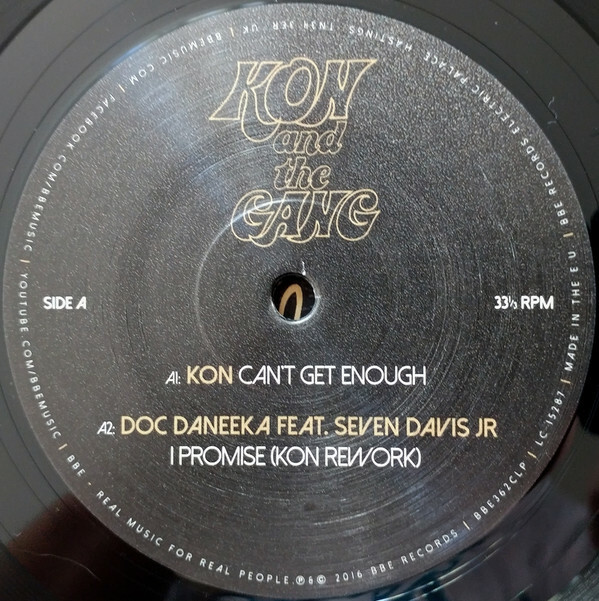 Before long, Kon had been offered the six tracks that would eventually, feature on Kon and The Gang. This includes Doc Daneeka, Serge Gamesbourg, Scott ThatManMonkz, Eli Escoba, Bosq and Caserta. These artists were perfect additions. They were all up-and-coming artists, who Kon had high hopes for. 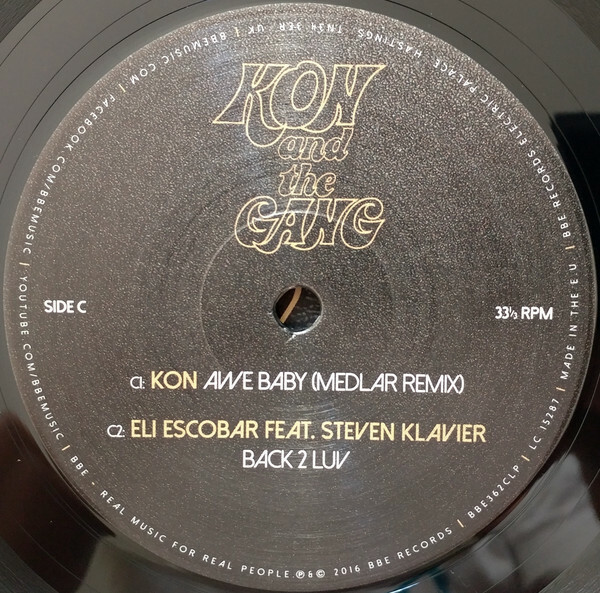 To these six tracks, Kon added two of his own productions. These eight tracks would be spread across four sides of heavyweight vinyl, and became Kon and The Gang. The music on Kon and The Gang is representative of the new wave of unique and original music that has recently been influenced by disco. It’s become increasingly popular within the vibrant edit scene. This is sure to be the case with the music on Kon and The Gang. After all, it’s always soulful, and veers between laid back to energetic, as boogie gives way to disco on this compilation of dance-floor delights. Opening Kon and The Gang, is the first of two Kon productions, Can’t Get Enough. This disco infused slice of soulful, funky house is a reminder of Kon’s production skills. He’s created a joyous sounding dance-floor filler to cherish. It whets the listener’s appetite, for the rest of this compilation. Kon also has a hand in I Promise. It was produced by Doc Daneeka and features Seven Davis Jr. However, Kon reworks the original. It’s a memorable and mesmeric fusion of boogie and house. Just like Can’t Get Enough, there’s a soulful quality to the vocal on this irresistible track. 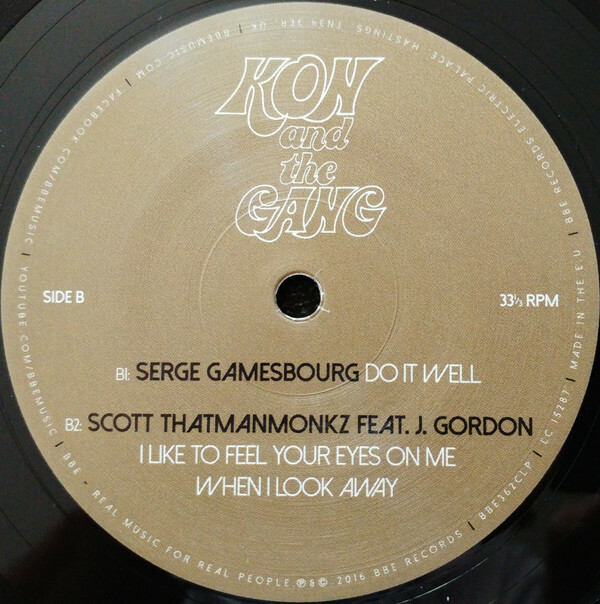 Again, there’s a boogie influence on Serge Gamesbourg’s Do It Well. Gradually, the track shows its summery delights. Key to this is the percussion, which adds a Latin influence. The percussion and keyboard plays leading roles as the Do It Well heads in the direction of deep house. By then, another soulful floor-filler is unfolding. It’s sure to tempt even the most reluctant dancer onto the dance-floor. It’s a similar story with I Like To Feel Your Eyes On Me When I Look Away. It was produced by That Man Monkz and features J. Gordon. Their combined and considerable talents create a slice of summery sounding, uber soulful Nu Disco. This Nu Disco sound continues on Awe Baby, which marks the return of Kon. This time, he remixes his original production on the Medlar Remix. It’s a track that’s obviously been influenced by he classic disco of the seventies. There’s also a hint of boogie and even P-Funk in the tough keyboard sound. However, it’s used subtly, and plays its part in a joyous slice of Nu Disco. New York based DJ and producer Eli Escobar is responsible for Back 2 Luv, which features Steven Klavier. Here, Nu Disco meets house, on another soulful and uplifting track where hooks haven’t been spared. 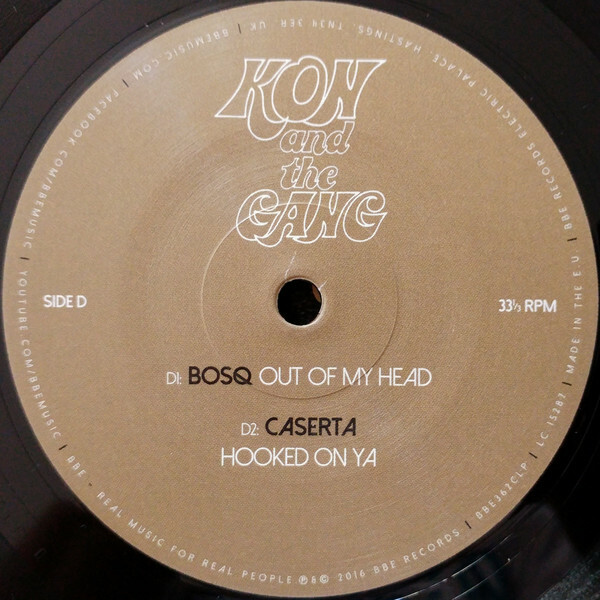 Bosq’s Out Of My Head is another track that worms its way into the listener’s consciousness. That’s the case from the funky bass line, percussion and piano to the vocal. They combine to create a truly memorable track. It’s funky and soulful, as Bosq fuses Nu Disco and house with disco strings. The result is another dance-floor filler from Kon and The Gang. Closing Kon and The Gang, is Caserta’s Hooked On Ya. It’s a slow burning slice of deep house which gradually unfolds. When it does, it’s well worth the wait. Mellow, melodic and mesmeric, Kon has kept the best until last on Kon and The Gang. That is the story of the latest chapter in both the Kon and BBE story. Three years after releasing On My Way, Kon returns to BBE like the conquering hero, with a new and exciting project Kon and The Gang. It’s a double album that was recently released by BBE on vinyl and as a digital download. 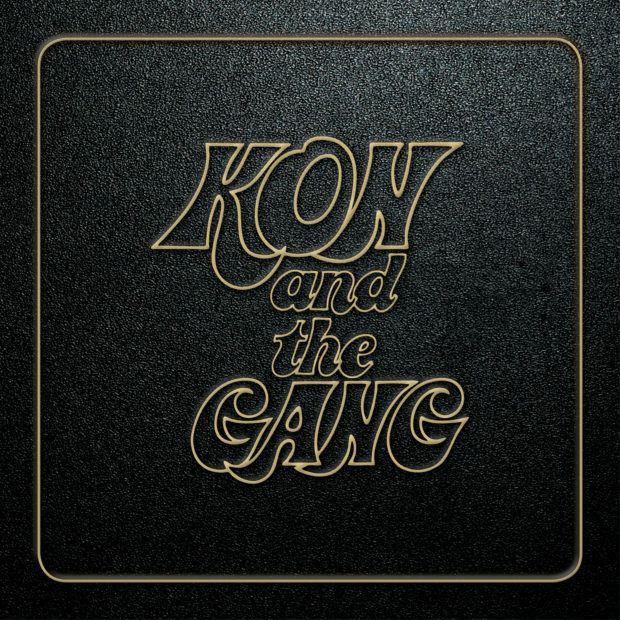 Kon and The Gang which features eight previously unreleased tracks. Two of the tracks were produced by Kon, while the rest were produced by Kon’s multitalented gang. They’re responsible for an album of dance-floor filler that oozes quality. These dance-floor fillers all have one thing common, they’re soulful. Some of the tracks are funky, but all are guaranteed to get fill a dance-floor. The tracks range from deep house to Nu Disco and incorporate elements of boogie, classic disco, funk, house and soul. Often, several genres have been combined to create tracks that are veer between energetic, joyous and hook-laden, to mellow, melodic and memorable. Indeed, memorable is the perfect word to describe the Kon and The Gang compilation. That has been the case with so many compilation BBE have released over their twenty year history. The Strange Games and Things, Disco Love, John Morales Presents The M&M Mixes, Private Wax and Keb Darge and Little Edith’s Legendary Wild Rockers compilation series’ have all stood the test of time. There’s a reason for that; the quality of the music. It’s been truly memorable. The same can be said of the recently Kon and The Gang compilation. It’s a compilation to cherish, and a celebration of the music that recently, has been making waves within the vibrant edit scene. The music on Kon and The Gang has been transforming dance-floors from a sea of tranquility to a place where good times are guaranteed, and where everybody’s dancin’ all night long. That’s why, for anyone looking to get the party started, then Kon and The Gang, it’s all you need. At the party, Kon and The Gang will be able to tempt even the most reluctant dancer onto the dance-floor and ensure that’s where they stay awhile. ← JUDY COLLINS-IN MY LIFE, WILDFLOWERS AND WHALES AND NIGHTINGALES.